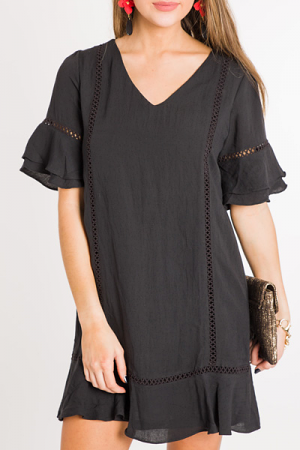 A simple, tiered dress with an elastic, cinched in waist! It's the BEST best casual LBD! Material is a modal-blend and feels like an absolute dream. Pull on fit. Fit is true to size. Model is wearing size small.